In some ways the field is limited only by your ingenuity, but a few markets are ready made. The three biggest are schools, employers, and correctional facilities. These groups also have the benefit of being able to see the same patients for years in a row. And, if a telehealth professional sets up an agreement with a statewide agency, you can work with the same system over a much larger area, which helps states rein in costs in an era of budget cutting. Healthcare professionals expand their reach. Three distinct population groups get access to medical care they otherwise would lack. For our examples, Texas is a solid benchmark state which already has the advantage of the second highest overall population in the country. Public school enrollment is approaching 5.5 million, or about 1 in 9 of the nation’s total. 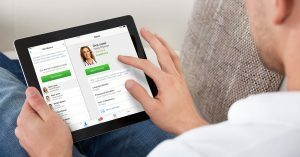 Access to pediatricians in person is a serious problem, so visiting a school nurse may be the only primary care the child sees, and they are already handling an unprecedented variety of new maladies in their students, so it makes sense to work with them to secure telehealth access for all those students. 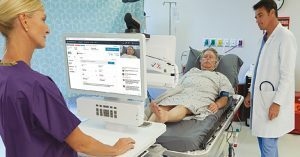 Telehealth has already been shown to work in this context for almost every situation. Of the three groups, school children represent the population most likely to be helped by telehealth. Further, the student’s records will follow them as they move up within the grades of a given district, or experience a lateral move to another, guaranteeing continuity of care even if the on-site nurse changes jobs. This is part of why looking at statewide agencies is so important. Moving on to employers, almost all are required to include some sort of healthcare insurance as part of their benefits package to more than 11.5 million working age Texans. Such coverage typically applies to whole families, meaning that records could easily transfer from one healthcare professional to another if both school and employer have telehealth access. While such access obviously benefits the children, it also benefits the employer’s bottom line. This is why so many are already including telehealth options in their coverage. 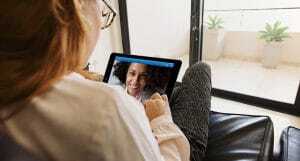 If you weigh the cost of adding telehealth coverage to an existing insurance policy against work lost and poor performance while at work due to illness, it more than balances out. Prisoners comprise the third major group. There are the obvious logistical and security concerns of bringing a healthcare professional into the institutional setting and still others with taking a prisoner to the hospital. Many prisoners’ maladies stem from mental health problems, which may be a large part of the reason they are incarcerated. This group is also quite large. The Texas prison population is larger than the total population of the 30 smallest states. Here, integration of telehealth may be the simplest because the University of Texas Medical Branch, which oversees 80% of Texas prisoners, already uses telehealth. The health care network is already in place, you just have to join. And, as with the other two groups, telehealth lowers costs. Just in the area of telebehavioral health, each prison saves about $106,000 a year. There are populations that need medical attention as much as any other. Some of them have special problems, like moving between schools or being incarcerated for years on end. Telehealth has already shown how their situation can improve and the infrastructure is often already in place.